As caring parents of loved and revered pets, the turning of a blind-eye to the existence of animal cruelty is a truly difficult task. We love and respect our pets for the companionship and unwavering loyalty that they give us freely and without expectation of anything in return. How anyone could possibly be cruel to an animal is unfathomable. Animal cruelty is, however, all around us, all of the time. Preventing such cases and protecting animal welfare takes us all. 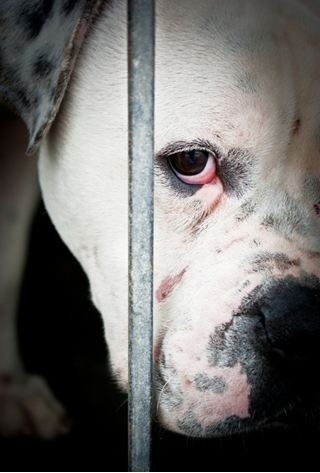 Aside from certain sections of the Criminal Code of Canada, Provincial laws outline the ways in which animal rights are protected and enforced. The Ontario Society for the Prevention of Cruelty to Animals Act & Provincial Animal Welfare Act, 2008, are the statues that legislate and dictate public policy and responsibilities in this province. But what can we do as responsible pet owners? Any instances of physical abuse of an animal should be immediately reported to the authorities, and likewise if such symptoms as listed above are seen within your community the best course of action is to contact your local police, animal control or humane society to discuss your concerns. Risking a confrontation with a neighbour can be unpleasant and even dangerous for any pet and persons involved, these professionals can respond to reported concerns and follow-up when needed with an investigation to ensure that any animals involved are safe. Dog behaviour and obedience training classes - these events typically take place in large groups so it’s a great opportunity to socialise with other pet owners in the community and to learn some very important dos and don’ts that will make life easier for both the dog and their owners. Online - there are wonderful resources online for new pet owners and those who have had them for years, as pet parents it is our responsibility to stay up to date on current training techniques and animal welfare tips to make our environments safe for the entire family. Talk to your vet - As always, for the most reliable information on the health and welfare needs of your pet, talk to your veterinarian to see if your environment is optimised for your pet’s well being. Organisations such as the Ontario SPCA and Humane Society and the University of Guelph’s Campbell Centre For The Study Of Animal Welfare exist to help protect the rights of animals in Ontario and to promote their welfare through education. With their help and the diligence of responsible pet owners, we can go a long way towards eradicating the abuse of animals in our communities. For more information on animal abuse and what you can do to combat it, contact your veterinarian today for more information.